Apple has given the go-ahead for a ten-episode season of currently-untitled science fiction series as part of its ongoing original video content effort, a big-budget TV show created and co-written by Simon Kinberg and David Weil. The nameless sci-fi show will be produced by Platform One, a first for the company, with Genre Films President of TV Audrey Chon signed up to be an executive producer alongside Kinberg and Weil. Few details about the project are known, but a source of Deadline claims it is a "large budget, ambitious, character-driven genre show." Production of the series will start this summer, with casting apparently underway with a view to shooting for the show globally. 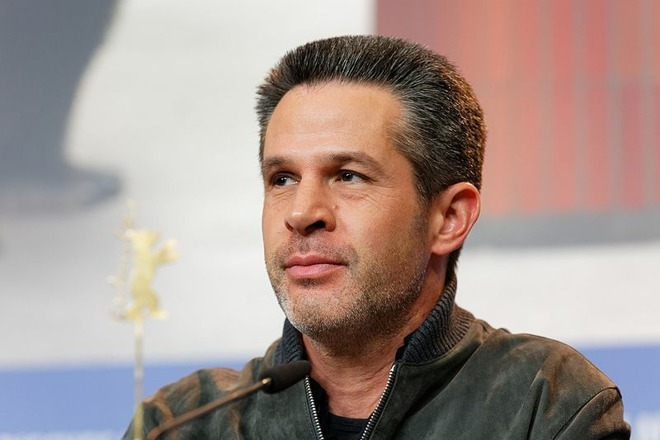 Kinberg is known for his work on the "X-Men" film franchise, and has helmed films including "Mr. & Mrs. Smith" and "Sherlock Homes," among others. Genre Films, Kinberg's production company, already has a number of shows in production for a variety of studios, including "Designated Survivor" for Netflix and a reimagining of "The Twilight Zone" arriving on CBS All Access later this year. Weil is known for creating "The Hunt," an upcoming drama premiering on Amazon Video following a band of Nazi hunters living in 1977 New York City. The unannounced series is the latest addition to Amazon's ongoing effort to produce original content, and follows recent announcements such as the iPhone producer signing up Jason Katims in a multi-year content deal, an agreement to develop shows in the Charles Schultz's "Peanuts" franchise, and an adaptation of Israeli drama "Nevelot" as a vehicle for Richard Gere. Apple has been developing its video content for some time, with initial reports suggesting a budget of at least $1 billion for the project in general, but it is likely Apple will spend more. Current speculation has the first wave of content from the operation arriving in early 2019. Rumors suggest Apple may release the video content via the existing TV app for free alongside paid subscription "channels" from outside sources. There is also the suggestion Apple will create a subscription bundle combing Apple Music with the TV shows and other services it currently provides.